There are tons of things to do in Mauritius with children. For one thing, a great family holiday couldn’t be complete without spotless white sandy beaches. 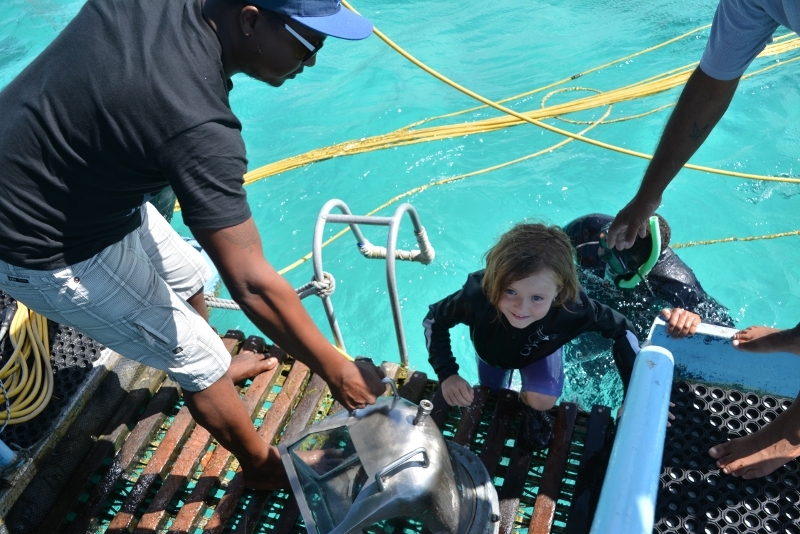 Kids may also explore reefs, since it is not far from shore – it is only about 100 meters away. Therefore one won’t have high waves. But of course, one cannot spend all day in these enticing waters since there are other (but equally) exciting things that the island nation offers. Itemized below are “11 things to do witch children in Mauritius” – be sure not to miss any of the recommended activities to ensure a distinctive holiday. Every vacationing family should strongly consider going to this botanical garden for a morning stroll. If you have little ones or someone who tires easily in the group it would be advisable to bring a stroller for the former and a small bike for the latter (this should give you an idea on how huge and fascinating the garden is). I would also personally recommend getting a guided tour. It will only cost 1€ per person yet it’s much more fun to have tour guide. He will tell the interesting story of the garden as well as detailed info about the variety of plants. Lastly, there are no cafés within the botanical garden so be sure to bring along bottled water and snacks. After exploring the exotic flora above, it is now time to be impressed with underwater aquatic life. 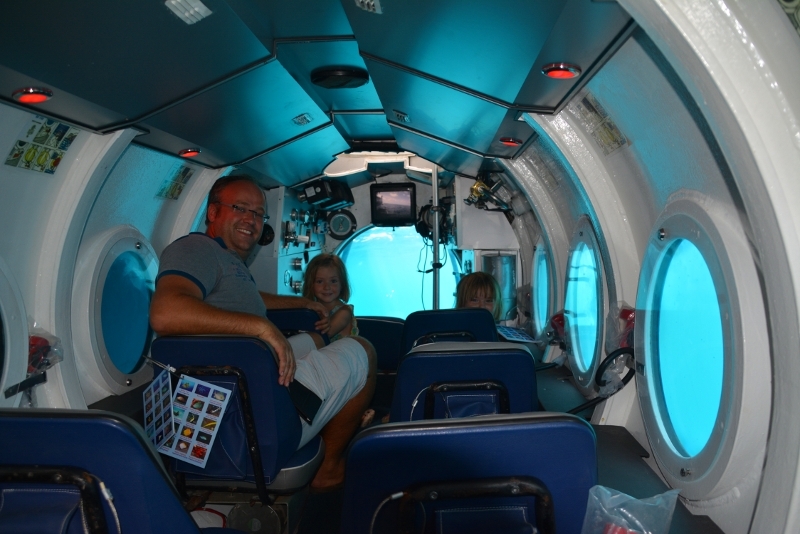 One of the best things we did in Mauritius with our children is underwater exploration inside areal submarine. Yes, you read that right – a real submarine. This is a great activity to see moraines, coral reed, and different variety of fishes. The submarine will take you underwater up to 30 meters deep and is truly a memorable and remarkable activity (our children actually can’t stop talking about it for days). Vanilla Crocodile Park is situated in the south of Mauritius. Don’t let the name fool you – this green and lush jungle does not only contain crocodiles. It is in fact home to monkeys, giant turtles, bats, and of course – crocodiles. Be sure to bring some bananas to make new turtle friends. Also located in southern Mauritius is the 500-meter zipline tour of Domaine des Couleurs and the half day tour at Domaine de Chazal. 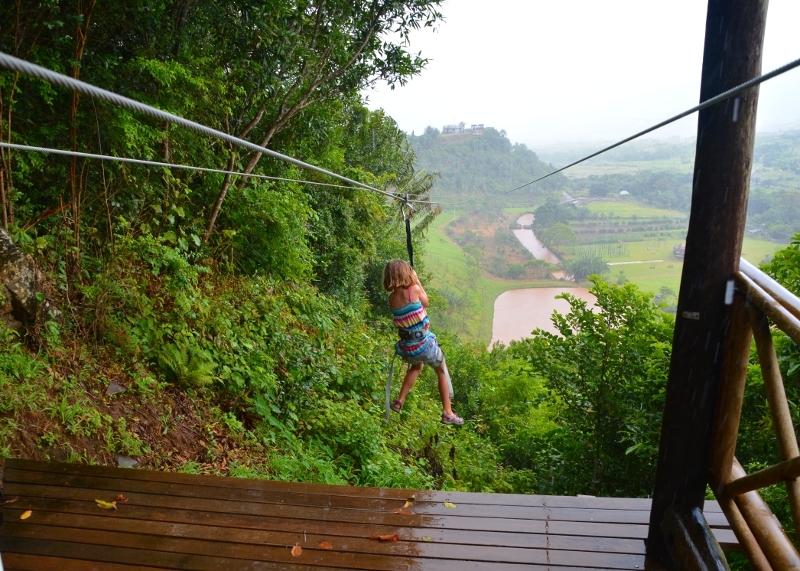 Don’t be afraid of the height and length of the zipline – apparently, even a 3 month old baby can do it. The activity can be done individually or with another person. Although doing it alone can surely boost one’s self-esteem and confidence, we opted to strap our 3 year old daughter onto my harness so we could do it together. Activities 1 to 4 are exciting but tiring so let’s take a break and we’ll introduce you to the C Beach Club. 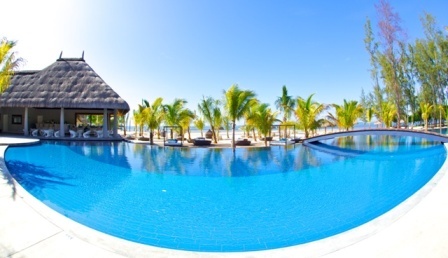 Located next to the Heritage Hotel in Bel Ombre, this club is situated directly on a beautiful beach – complete with playground and a huge pool. During Sundays, they offer an “all you can eat brunch” which is perfect for dining, relaxing, and chatting with your love ones. And on some special Sundays, there’s a DJ invited for Beach Party. Partying with your kids or having a great time on a lazy Sunday – the choice is yours. Who says one wouldn’t learn anything while on vacation. 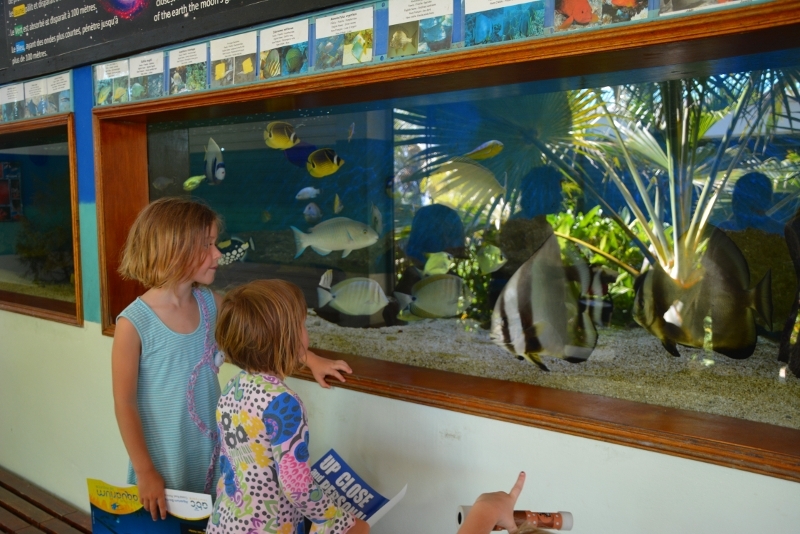 Education is a lifelong process and even I learned a lot while visiting the Aquarium in the north of Mauritius. It’s one of the things to do in Mauritius with children when it’s a rainy day or you want to avoid the sun. Make sure to come during feeding times. It’s great to see sea turtles, sharks and moraines having lunch. Speaking of Grand Baie, it has the Funky Monkey indoor playground and the Bagatelle Shopping Mall. When it’s raining (though not often), visiting these places are suggested things to do with children in Mauritius. 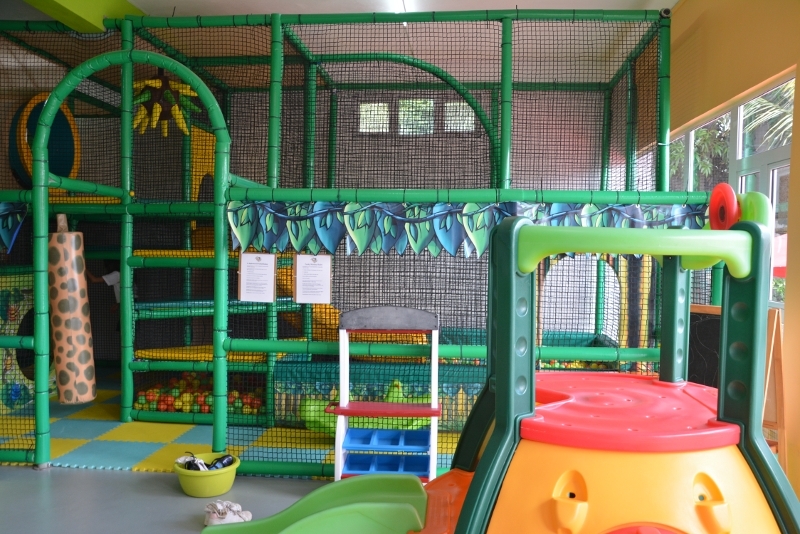 Kids up to age 10 can enjoy Funny Monkey while you and your partner can have coffee or pizza (or use the free WiFi). If the kids think they are too old for Funny Monkey, next to it is the Fit Club where they can join courses like Karate, Gymnastics or Drama. The buzzing capital Port Louis shows the cultural mix of Chinese, Hindus, Franko-Mauritian and Creole like no other part at Mauritius. 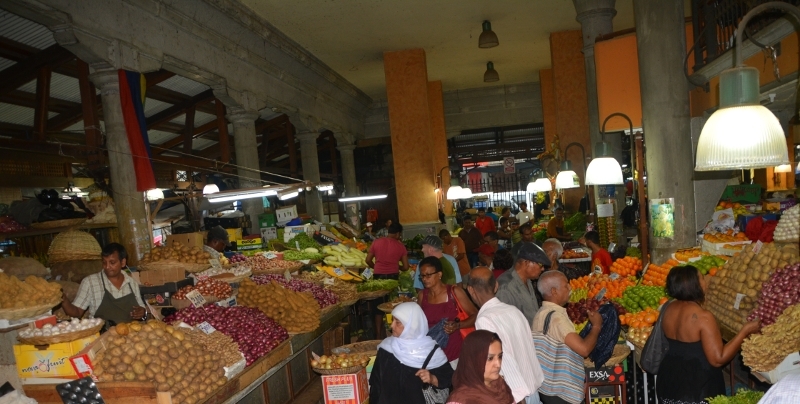 Wandering through the vegetable and fruit market, buying best quality and enjoying the colourful and friendly locals is a good thing to do in Mauritius with children as it exposes them to cultural diversity. Chinatown and the shopping mall waterfront is a great place to spend some rupees on souvenirs, clothes, and other useful things. Since the boat leaves at 7:30 am, we recommend eating breakfast or to take some with you (kids might get hungry while en route). It is also possible to snorkel with the dolphins. Kids are always welcome to try this fascinating experience with wild but friendly animals. The Biscuiterie is a tiny factory known for producing the international famous biscuits in a historic procedure. Made of manioc, one can follow the process and get a lovely tour to know what really goes behind the scenes when making the popular biscuit. At the end of the tour, everyone is invited to have a cup of tea or coffee and taste the yummy biscuits made of manioc. How about you? Which adventure would your kids love to do? Simone recently posted…12 of the most romantic destinations around the world. I would love to come and experience with my kids. Hi Barbara read some of your travel details to Mauritius. A well described details.. Thank you for the info. Looking forward to visiting Mauritius.